You find a guitar teacher already, right? Or not yet. Well, in either case, you should consider one important thing. Even if you are not a total beginner, you should learn more and more, each day, until the end. The best guitar players are the best guitar learners. 1. Consider is as an infinite instrument. You never going to tap it out, there are endless capabilities. Once you achieve a given level, there is always a room to grow. This mindset will push you forward with 100 miles per hour. 2. Always look for friends who are into the guitar thing. When you know people who are passionate about the guitar- this is the best way to learn and to become better. 3. Develop your creativity. Improvise while you listen to some song on the radio or youtube. Just try to implement scales and chords whatever you are looking. Then, you have an idea, you work on it, and it becomes a reality, which creates the feeling that your guitar playing matters. 4. Think about the big picture, even if not planning to dive into the music business. 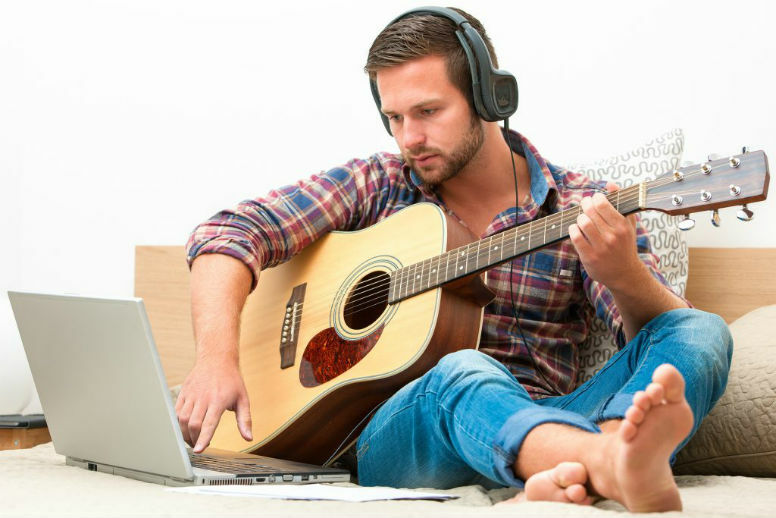 You may build a music career being a guitar player or a singer/songwriter with a guitar. There is no business like show business, someone said. It’s a challenging and a fascinating profession. But even if you don’t consider to be a professional guitar player, look at the thing this way: You have a song. Everybody start to like it. You don’t expect such an impact. And you missed so many things on your educational path, that you need to go back and learn all these important things which will help you to achieve your new goals. That’s why it needs to be taken seriously. Just in case. It will only make you better than the others who neglect this element. 5. Look for bandmates. Irreplaceable socializing experience. When you are looking for the guys for your band, you could meet extraordinary people who can change your life completely. You can learn a lot more by playing in a group than going to a bunch of music academies. Mark these words. 6. Build a discipline and practice routine. This is awesome in the way that reflects on how you reach success in anything else you could do. We don’t even need to talk about this. This is what is already written in your guitar books. Just do it. Period. 7. Carry your guitar wherever you go. You never know what kind of platinum hit song you will create at any given time. Really. You cannot even imagine how impermanent you muse could be. It can find you on the plane between USA and India (on your first and only time traveling this route), or at your ski holiday in the Alps. Of course, you should consider this. My personal favorite is in the park with friends or barbecue/night fire camp. 8. Create memories with the guitar, with more people. Play that country song or glam my radio hit even if you don’t like it, it’s often fun for the people around you, and you should not underestimate their taste. This is the power of experiences while playing on the guitar, and everybody singing famous and cozy songs. 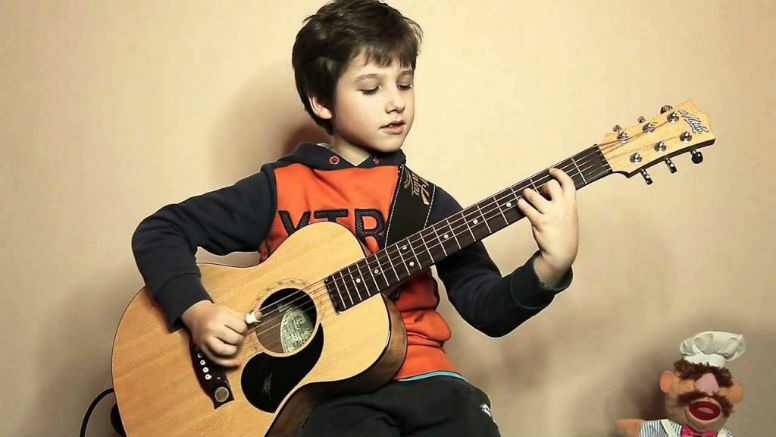 Don’t be afraid if you are a newbie, the guitar looks cool even if you cannot play it. 9. Be a shapeshifter, try many styles and choose the ones you like the most. 10. Give people experiences with playing guitar. They will give you back the energy which will push you forward stronger than you can even imagine. 11. Work hard, love it, and it will pay you off! 12. Develop your ear. It is crucial. Any musical instrument gives you this opportunity. The guitar, being a string instrument, goes very close to the natural human vibration of sound waves inside the body (and it all starts from the very commonly known String theory!). 13. Be brave. Everybody has been there. Overcoming your fears will make your guitar level goals closer than ever. 14. Listen to more and more music! Go and search for what other guitarists listen. Try several guitar heroes like Steve Vai or Jimi Hendrix. Whatever you encounter, don’t ever stop to listen to music and mainly listen to music you love. 15. Find a spot where you can focus playing at least 30-60 minutes per day. It is essential to forget about everything else while doing exercises. 16. Even if you have a teacher, look for any other opportunity around to teach yourself. From other teacher or a musician, or just listening to more and more music and trying to replicate or cover what you hear. 17. Find a good guitar (+amp), strings and pick. You will never guess how critically crucial for me is to play with the same pick every time I play. This is so very important; I cannot be creative or technical enough if I don’t use exactly my pick of choice (size and material). For me, it is 0.88mm, nylon pick. A crucial element. The perfect guitar is a whole other story which I already spoke about many times, but still to mention that even if you cannot allow the dream guitar, you can always find a way to set up your old guitar the way it sounds better. You will be surprised how many things could improve the performance, and this thing should be considered by a professional luthier, in most cases. Following these 17 steps will guarantee you will reach success in months, even in weeks in some cases. Trust me, and I’ve been there and there nothing more obsessing than loving what you learn. Try it. You might feel the blessing too.